When I was young, everything I knew about Fashion was embodied in the long legs and plucked eyebrows a small group of elite models that were known simply and ubiquitously as the Supermodels. They were in all the makeup ads and all the best music videos. 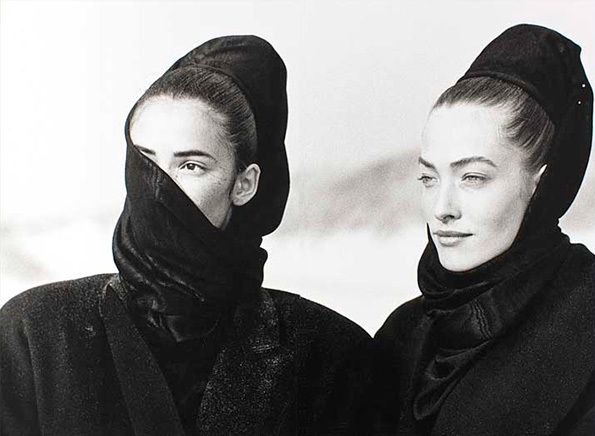 Photographers like Peter Lindbergh (who took the above photo for Vogue in 1991) and Herb Ritts (taking a break from his typical muse: well muscled men) captured these amazons in crisp black and white photographs that exposed us to these mythically unattainable figures in an era that otherwise heroicized the flawed and the authentic. I have a hard time reconciling Cindy Crawford and Kurt Cobain, but they somehow managed to both rule MTV at the same time without any irony whatsoever. 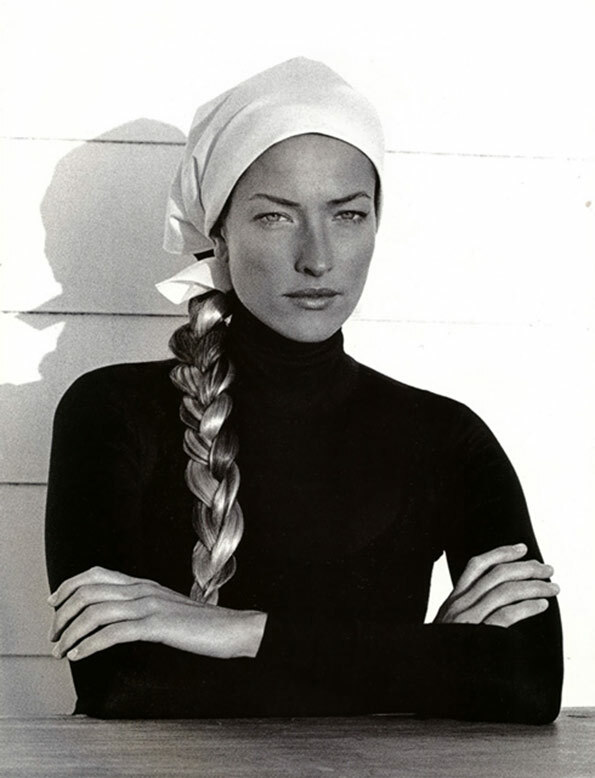 One of my favorite Supermodels is the now largely forgotten Tatjana Patitz. When I look at photos of her now, I can’t help but think that she seems especially austere — so German. This photograph looks like it could have been taken by Leni Riefenstahl. The image below, also by Lindbergh, casts Patitz as a sort of blue-eye to blue-eye match for Peter O’Toole in Lawrence of Arabia. I did an image search for Patitz recently after a random memory trip while riding the bus to work. 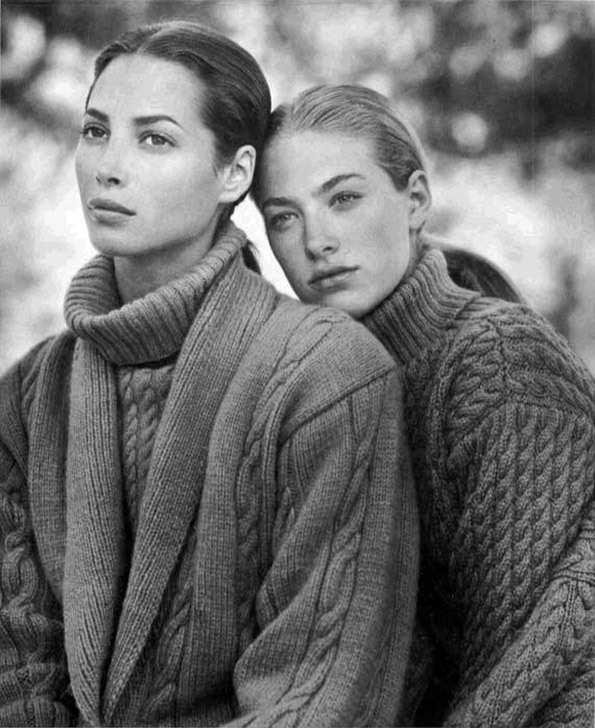 I was struck by the unassailable way that the Supermodels were styled and photographed back in the 90s. They seem especially statuesque and hard-edged compared to today’s magazine girls. The Supermodels all look like real grown up women. That Crawford, arguably the most approachable of them all, was the the most popular of the group seems to have taught advertisers to go with a look that is a little more friendly, a little more girlish. However, given our collective penchant for Mad Men, the Rat Pack, and classic cinema, I can easily imagine this type of mature, composed and strong feminine model coming into favor again as a representation of our desire. The era of the 16-year-old model could be coming to a close. Also, I can imagine all of our current economic woes pushing the country temporarily back towards a conservatively European model of beauty like they did at the end of the 80s. Adriana Lima watch out!